Spring has officially sprung! I felt the warmth of the sun on my face yesterday and it was nothing short of glorious. Usually by this time of year my skin has just about had it with all my attempts to keep it satisfied (read: clear and hydrated) but this winter it remained relatively content thanks, in large part, to my daily routine. Even though my skin is far from flawless, the products I’ve been using for the last few months have delivered some positive results. What works for me won’t work for everyone but when I find a few gems I love to share them! 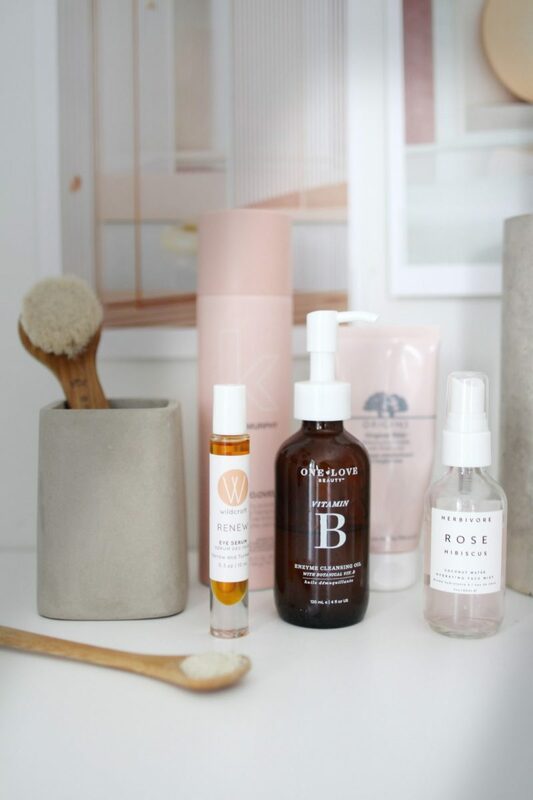 So today I’m walking through my current skin care routine in the hopes of pointing you towards some clean products that might serve you well too. It’s been over a year since my last skin care post so I’ll quickly share my skin type to help provide a bit more context before we talk products. My skin type is quite sensitive and somewhat reactive, which means I’m prone to uneven skin tone and when a product doesn’t work I find out quickly. I have combination skin with an oily t-zone. I’m also prone to hormonal acne, which is super fun as a nearly 32 year old. I have the usual fine lines that start making an appearance at about this age as well. My complexion is fair and I find scars take quite a long time to fade. I do my best to manage hormonal breakouts by watching my stress levels, getting good sleep, limiting dairy and caffeine intake (which I often fail at) and drinking TONS of water. I also try to see a holistic skin specialist once a season. For a long time I struggled with stubborn cystic hormonal acne and tried just about everything short of prescriptive drugs to relieve it. The more I stressed about it the more it persisted. But, finally, I decided to make some lifestyle adjustments (as noted above) and switch my products to more natural, clean options. Since making these changes, my acne woes have subsided considerably and I believe my daily routine has done a lot to help. So let’s look at what that involves shall we? 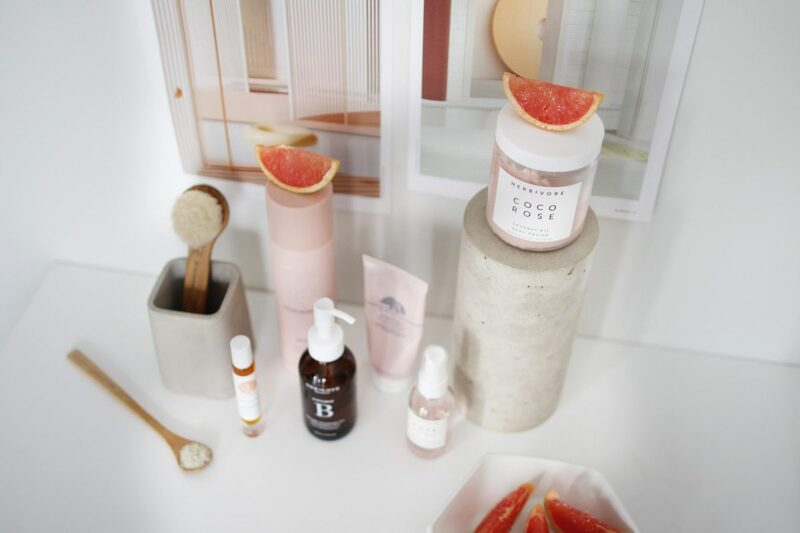 Yes, face brushing sounds bizarre and I wasn’t sold on it until my holistic skin care specialist taught me more about the benefits of this simple ritual and I decided to try it out. Now I start most days with my face brush routine (about 3-5 mins) and I do think it makes a positive difference. Face brushing helps with lymphatic drainage, improves circulation and helps to reduce puffiness and brighten the skin from the inside out. It’s also just a really nice way to spend a few minutes checking in with yourself each morning. I have to give my face brushing credit for clearing out some stubborn pore congestion on my cheeks and helping my skin look more firm overall. 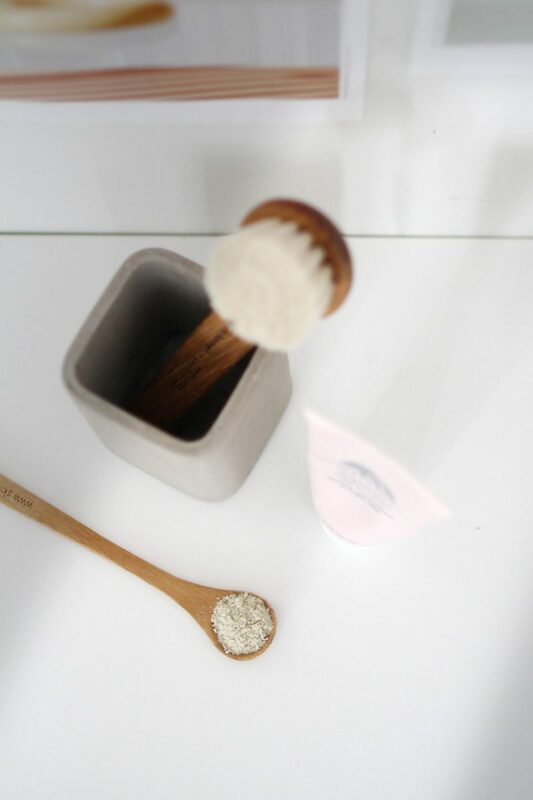 Learn more about face brushing and the Province Apothecary Face Brush Ritual right here. This brand is Canadian and cruelty-free. After my face brushing routine, I start my day with this cleanser, which always gives me a gentle nudge to wake up. It has a lovely fresh scent that’s not too strong and it gives my skin a boost of energy. 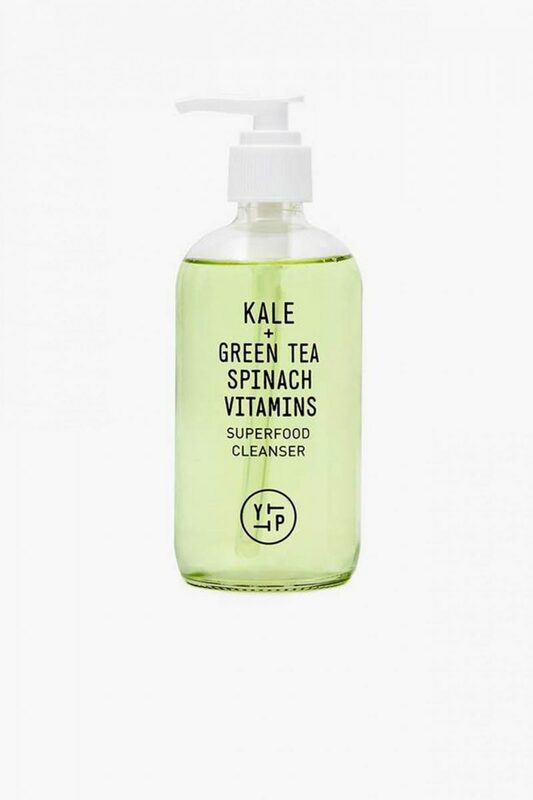 It’s kind of like drinking a green smoothie but for your face! It’s a great option for sensitive skin with lots of gentle ingredients (see below) that clarify pores and remove dirt without disrupting the skin’s natural balance. I’ve been using this one for well over a year now. This brand is vegan-friendly and cruelty-free. Kale: Antioxidant powerhouse loaded with high levels of phytonutrients and flavonoids to help prevent visible signs of aging. Spinach: Contains high levels of antioxidants that protect skin from visible signs of aging. Green Tea: Rich with polyphenols that help repair sun damage and improve moisture retention. Alfalfa: Packed with vitamins and minerals that promote skin health. 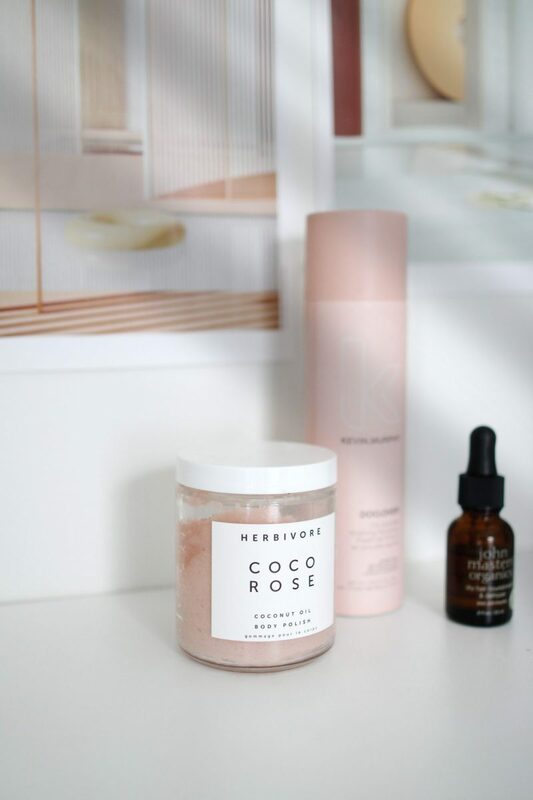 After cleansing I pat my face dry and spritz with a hydrating coconut water, hibiscus and rose toner. I first discovered this toner when I was looking for a hydrating travel option and have been hooked ever since. I find it’s very calming, helps to reduce redness right away and keeps my skin from feeling dry during the day. It also smells amazing! I let it air dry (while I brush my teeth) but you can pat or gently rub it in. I’ve been using this one all winter. 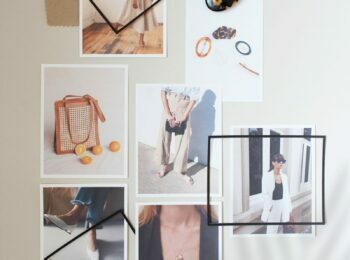 This brand is vegan-friendly and cruelty-free. Coconut Water: Hydrates for a healthy glow. Hibiscus Flower: Provides exfoliation and supports natural cellular turnover for a more even skin tone with malic and citric acid. Rose: Hydrates and reduces redness with antioxidants. Witch Hazel: Visibly tightens skin and reduces redness and discolouration. This has been a long-time favourite moisturizer of mine and it’s really great for acne prone skin. It feels hydrating and soothing without being heavy, drying or causing any extra oiliness. I find that it smoothes my skins texture, soaks in quickly and sits well under foundation. While I don’t love the scent, it’s natural and not super strong. I’ve been using this product off and on for several years. After this I apply foundation with SPF and proceed with my make-up (see this post for my clean beauty faves). 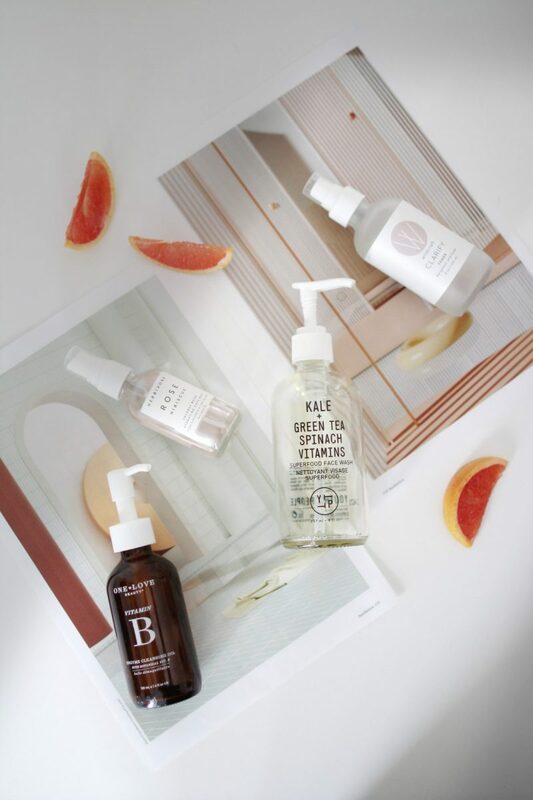 This brand is vegan-friendly and cruelty-free. Geranium: This common garden plant has a cooling and calming effect on the skin, making it great for balancing combination complexions. Thistle: Extracted from the seeds of the Safflower thistle, this oil is packed with skin-friendly omega 6 and is excellent at clearing congested skin and reducing large pores. I’d been skeptical about oil cleansers having combination skin but I gave this one a shot and now I’m hooked! Using it either alone or with a gentle exfoliant (shown next) has been wonderful for my skin this winter. I start with two pumps, warmed in my hands, and gently massage my face (with or without exfoliant added). 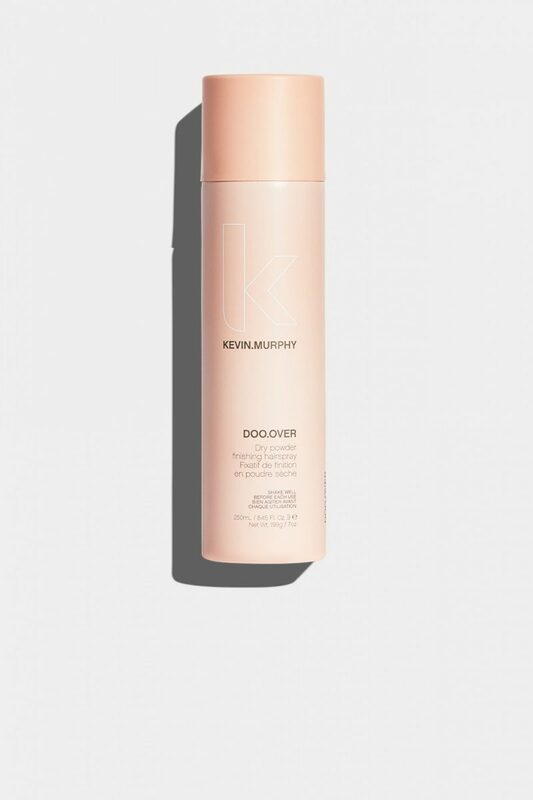 This cleanser is also great for make-up removal and being an oil it helps to dissolve stubborn products like eye-liner and mascara and lifts dirt from pores. 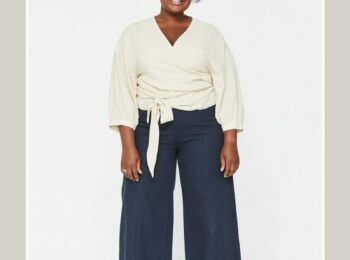 Love a good 2-in-1! If you add water it turns into a milky texture and easily washes off. My skin feels so nourished and soothed by this product and it hasn’t caused any breakouts. This brand is cruelty-free. Papain: a fruit enzyme that helps to exfoliate and soften. Natural Vitamin B complex: works to to detoxify and tone. I use this exfoliator most evenings before going to bed. 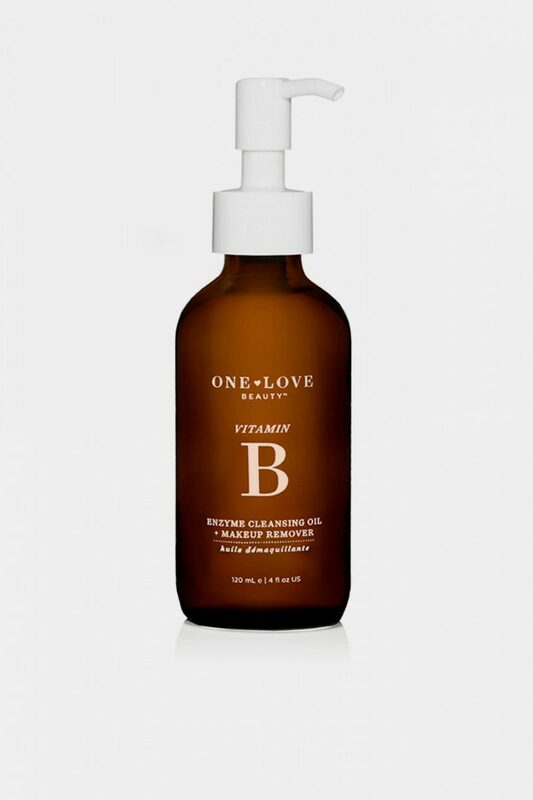 I typically add it to my Vitamin B cleansing oil, warm the combo in my hands and then gently massage it into my skin, adding a few drops of warm water as needed to get a consistency that’s creamy. I love the comforting scent of oatmeal and find this exfoliator to be super gentle but highly effective. My skin never feels raw, stripped or tight after using it. This brand is Canadian and cruelty-free. Oatmeal calms, softens, and nourishes. Green tea stimulates and rejuvenates, giving you a healthy glow. Lavender calms irritation and heals blemishes. 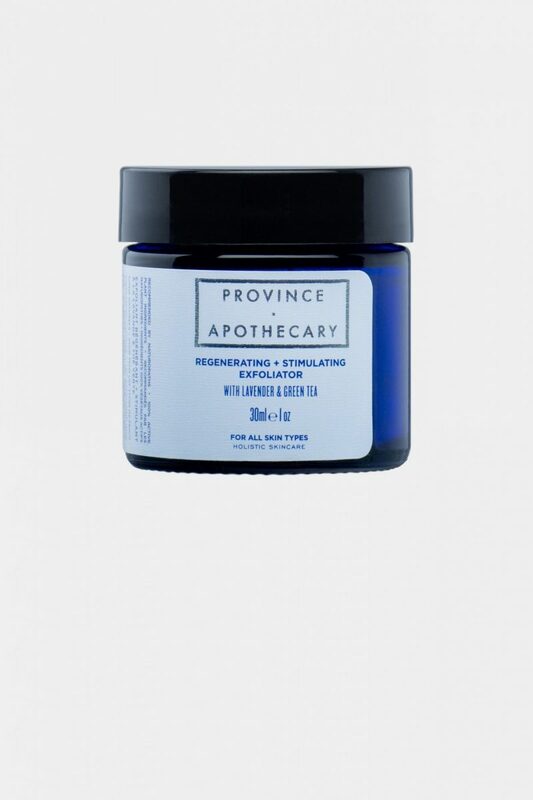 Dry formula allows you to blend the exfoliator with other natural ingredients like oil, honey and yoghurt, depending on what works best for your skin, as the seasons change. Another mainstay in my skin care repertoire is this toner. I spritz it on after cleansing and/or exfoliating and it helps to keep my skin clear and seems to help heal any blemishes that might have surfaced. 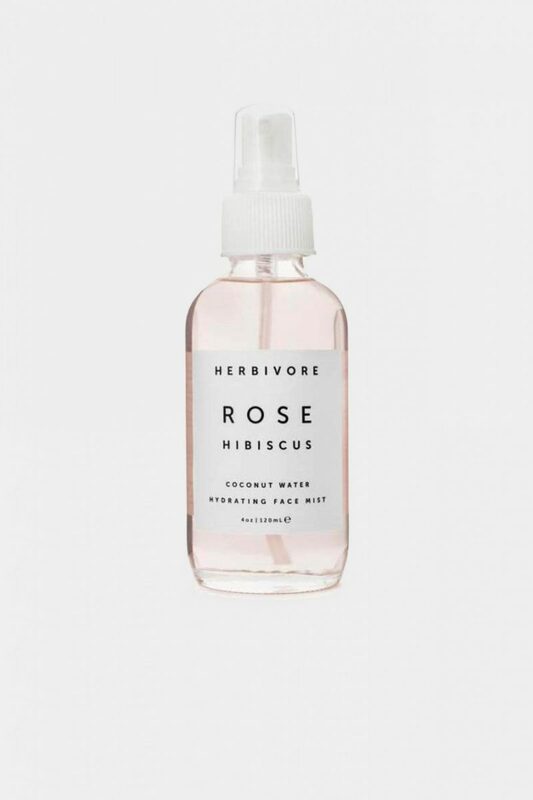 It’s not as hydrating as the Rose Hibiscus Toner I use for daytime but it’s very gentle and being alcohol-free it doesn’t aggravate my sensitive skin. Whenever I’ve run out of this toner I notice a difference in my skin after a few days without it. I find it especially great when I travel and my skin is most prone to flare ups. 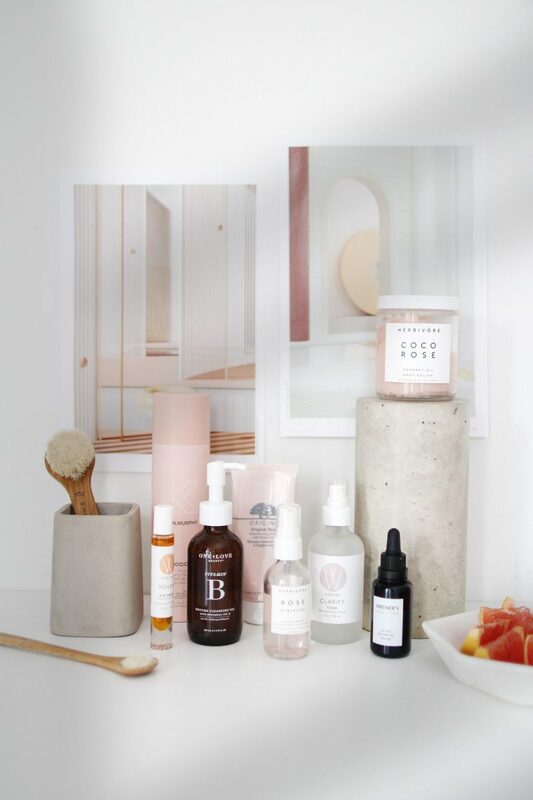 This brand is Canadian, vegan-friendly and cruelty-free. 4 Simple Ingredients: Rose flower water, Witch hazel, Aloe vera juice and Bergamot essential oil. 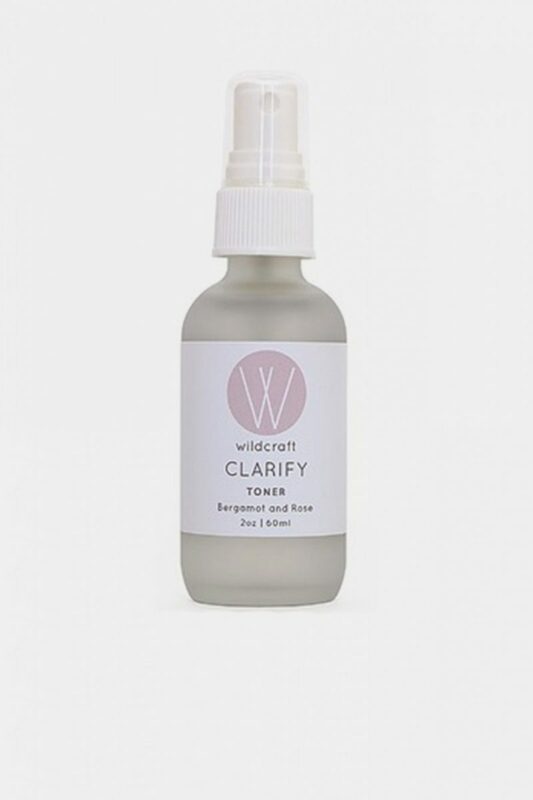 WILDCRAFT SKIN CARE, MADE IN CANADA, IS GIVING STYLE BEE READERS 15% OFF WITH ‘STYLEBEE15’ AT CHECKOUT! 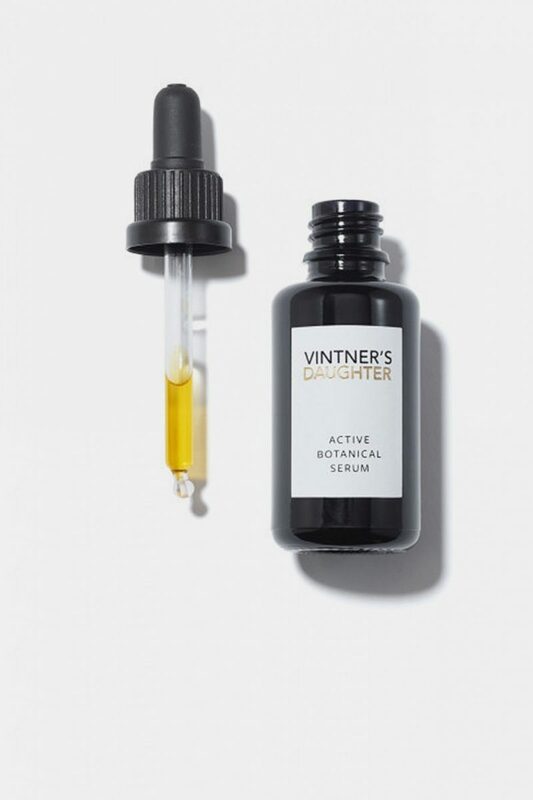 This serum has often been described as akin to, “a bottle of unicorn tears”, and while that might be a stretch, I’ll admit that it’s pretty darn magical. I received a bottle when the brand first launched a couple of years ago and have been hooked ever since. No other serum that I’ve tried has come close to the overnight results that this one delivers. It brightens tone, softens texture, reduces fine lines, fades dark spots and helps to heal breakouts all at once. I use it a multitude of ways but typically, I add a few drops to my palm and warm it in my hands then press it into my freshly cleansed and toned skin. During the day I sometimes add it to my foundation or moisturizer if I need an extra boost. It’s definitely a specialty item and the price tag reflects this but I’ve never regretted investing in it. You can order a smaller size here. If used moderately a single bottle can last easily 4 months and if used sparingly it will last up to 6 months. 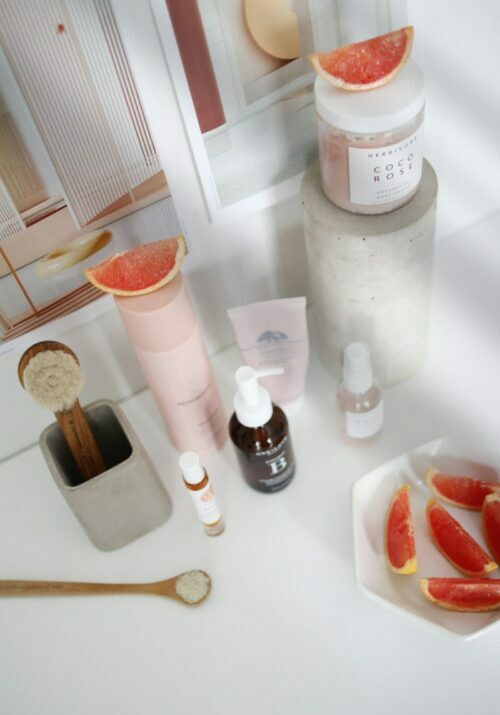 This brand is vegan-friendly and cruelty-free. Contains 22 of the world’s most nutrient-rich botanicals: Alfalfa, Avocado, Bergamot, Calendula, Carrot Seed, Cypress, Dandelion, Evening Primrose, Frankincense, Grape Seed, Hazelnut, Jasmine, Lavender, Lemon, Neroli, Nettle, Rose, Rosehip, Rosemary, Sea Buckthorn, Tamanu, Turmeric, learn more about each one here. After cleansing, exfoliating, toning and serum-ing, I then apply a generous layer of Pink Cloud moisturizer to seal in the serum and moisturize overnight. I haven’t been using it long but have found it soothing, softening and not too heavy or rich for my temperamental skin. It also sits well under make-up during the day. 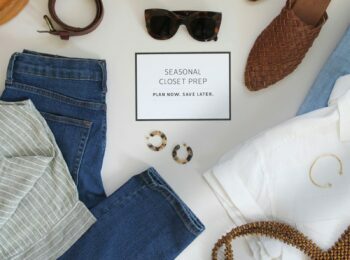 This brand is vegan-friendly and cruelty-free. Rose Water: Naturally high in antioxidants and excellent for reducing appearance of redness in skin. This is also where Pink Cloud’s natural scent comes from. White Tea and Rice Extracts: Provides antioxidants to diminish the appearance of pigmentation and fine lines. 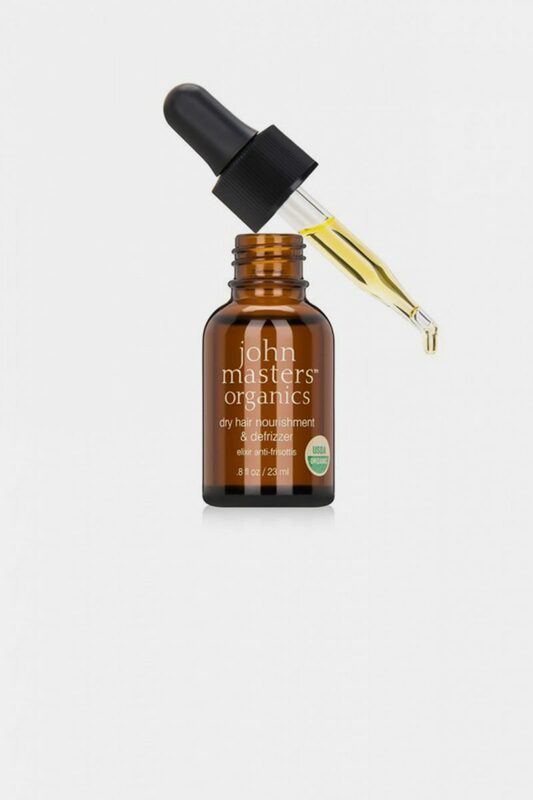 Kukui Oil: Hydrates and balances all skin types, plus it adds a subtle dewy glow. 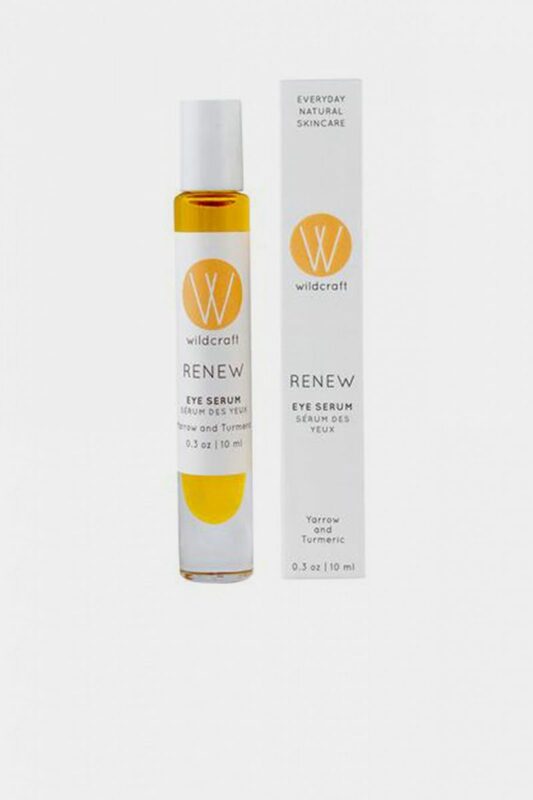 I’m so glad this eye serum found its way into my routine thanks to the lovely folks at Wildcraft. I’d almost given up on eye creams and serums because they always caused milia (visibly clogged pores) and showed next to no sign of fine line or puffiness reduction. I was skeptical about this one and took my time testing it out. I’m happy to say that this serum leaves the skin under and around my eyes so soft, bright, smooth and plump where it should be, yet de-puffed where needed too. It took a full week to first see results initially and I’m glad I stuck with it. I doesn’t irritate my eyes, smells lovely and a little goes a long way. Worth a try if you’ve struggled with eye creams and serums like me! 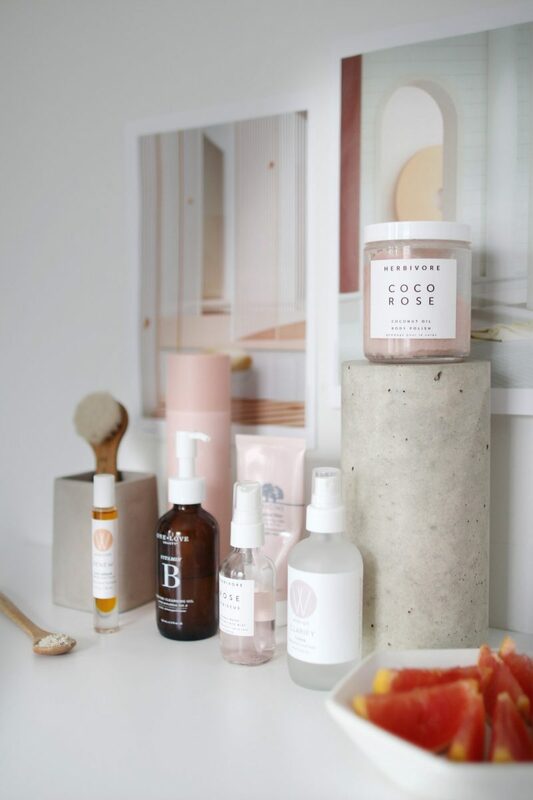 This brand is Canadian, vegan-friendly and cruelty-free. Yarrow has powerful emollient properties to soften and brighten dull skin. 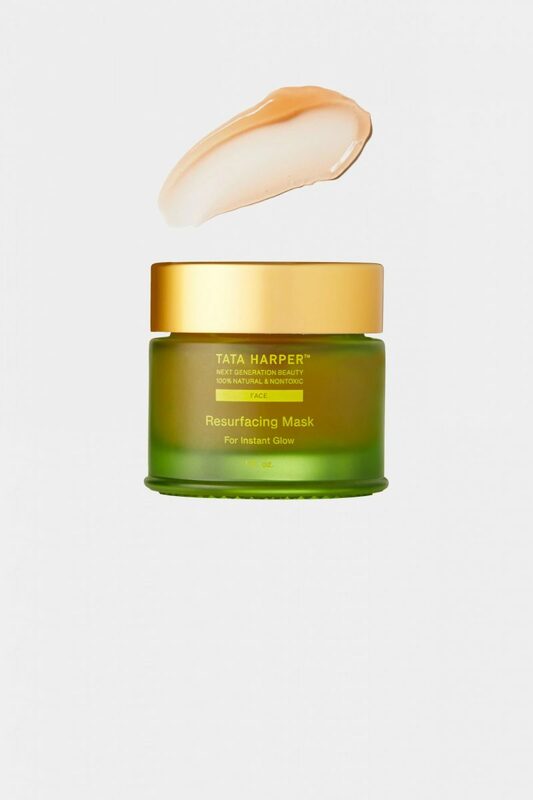 This is a heavy-hitter mask that I pull out when I feel like I need to give my skin a good reboot or have some stubborn spots that need motivation to heal. I use it sparingly and only leave it on for about 5-7 minutes (it might not be fully dry everywhere but that’s ok) since it can be quite drying. I try to time it before a shower for easy wash-off. It never fails to leave my pores clearer, my complexion brighter and my skin feeling silky smooth. Mediterranean rose clay draws out impurities for a deep clean. Canadian willowherb has natural anti-inflammatory properties, perfect to soothe irritated skin. Jojoba beads exfoliate and refine skin’s texture. If I had to choose one mask to use forever (cost aside) it would definitely be this one. I’m currently onto my 4th jar! It is one of the most instantly effective products I’ve ever used and always leaves my skin visibly glowing, smoother and firmer. Friends and strangers even say so! It helps reduce flakiness and congestion and it always comes through when I want to feel my best for an event, night out or just because. I use it once a week all over and as needed to calm breakouts.This brand is vegan-friendly and cruelty-free. 2 natural sources of BHA gently exfoliate and clear the way for fruit enzymes and botanical extracts to cleanse skin and refine pores for a noticeably vibrant, instantly radiant complexion. Antioxidant-rich beet extract promotes hydration to improve skin tone and boost glow. 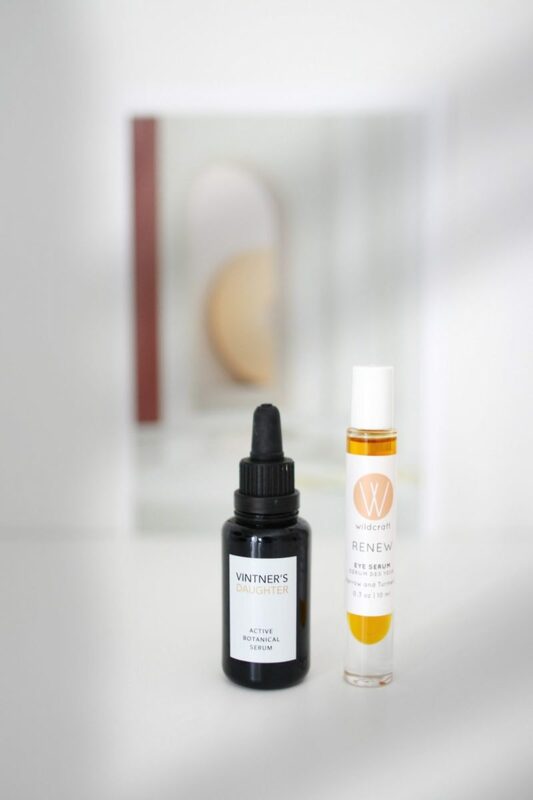 Willowbark and meadowsweet—natural sources of salicylic acid—slough off dead skins cells like a traditional peel without irritation (which is perfect for normal and sensitive skin). Bergamot essential oil provides a sweet citrus scent. I decided to try this spot treatment formula because it is specifically formulated for cystic acne and deep tissue repair, not just surface blemishes. It’s been remarkable to see how effective it is. Just a drop goes a long way and I see a difference overnight. If I get a flare up early on, this serum can halt it all-together, but if it’s past the point of no return it works really well to heal the area quickly. This brand is Canadian and cruelty-free. TURMERIC OIL: A source of curcumin, traditionally recognized as a powerful anti-inflammatory. Gently soothes the look of skin and brightens tone. CALENDULA FLOWERS: Infused in Jojoba oil, calendula flowers are hydrating and soothing to inflamed, damaged skin. This little balm is pretty special! I don’t suffer from eczema but I use it on top of the spot treatment to essentially lock in the serum and work double time to heal the skin. It’s been so great, especially during the winter, because it keeps the area from getting dry as it heals. It can be used in a multitude of ways and my husband, who does have some eczema, has also found it highly effective. Well worth a try if traditional spot treatments dry you out too much! Colloidal Oatmeal: Proven to relieve itchiness and inflammation caused by extreme dry skin. It forms a protective layer, holding moisture to the skin to provide effective hydration. Zinc Oxide: Accelerates the renewal of the skin cells. It has anti- inflammatory properties that can calm redness and irritation. First off, this scrub smells AMAZING. Sometimes I give the jar a sniff just because! I use this as my final step whenever I’m in the shower and it leaves my skin feeling smooth and moisturized but never greasy. It’s great for lazy folks like me who hate moisturizing after a shower but don’t want to let dry skin win the battle every time. I’m onto my 3rd or 4th jar at this point and won’t be quitting anytime soon! 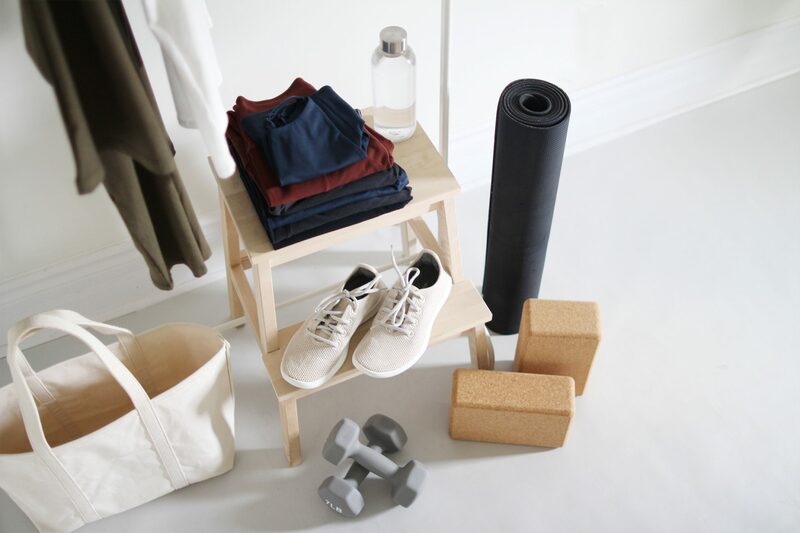 This brand is vegan-friendly and cruelty-free. Virgin Coconut Oil: Provides intensive hydration, replenishment, and nourishment to the skin with lauric acid, proteins, and fatty acids. Moroccan Rose Oil: Increases hydration and reduces redness. Sugar: Gently exfoliates and renews for glowing, soft skin. I’ve been trying to wash my hair less frequently throughout the dry season and this has been a useful product to help me sneak in an extra day between washes. 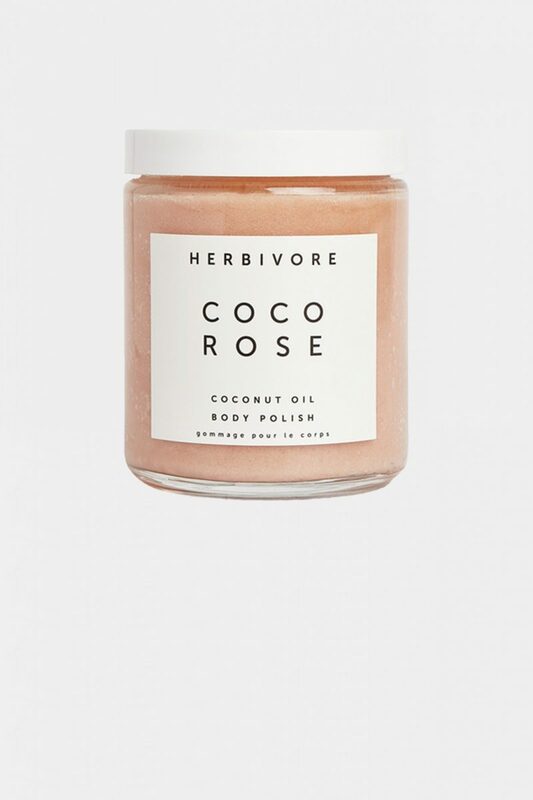 I love the scent (although it can be overpowering if you get carried away) and it works well to absorb excess oils and add volume at the roots. It also works well as a gentle hold spray. This brand is sulphate, paraben and cruelty-free. When I do decide to wash my hair, this protecting oil comes into play. I gently comb a few drops into towel tried hair before I blow it out and it’s made a notable difference in split ends ends and broken strands for sure. It has a lovely woodsy, natural scent and gives my hair a gorgeous gloss. I avoid my roots though because it can reduce volume and weigh down my fine hair. I’ve been trying to grow my hair this year and this oil has been a key product to keeping my hair looking healthy between trims. This brand is cruelty-free. OF COURSE, I CAN’T FORGET TO MENTION HURRAW! LIP BALM. 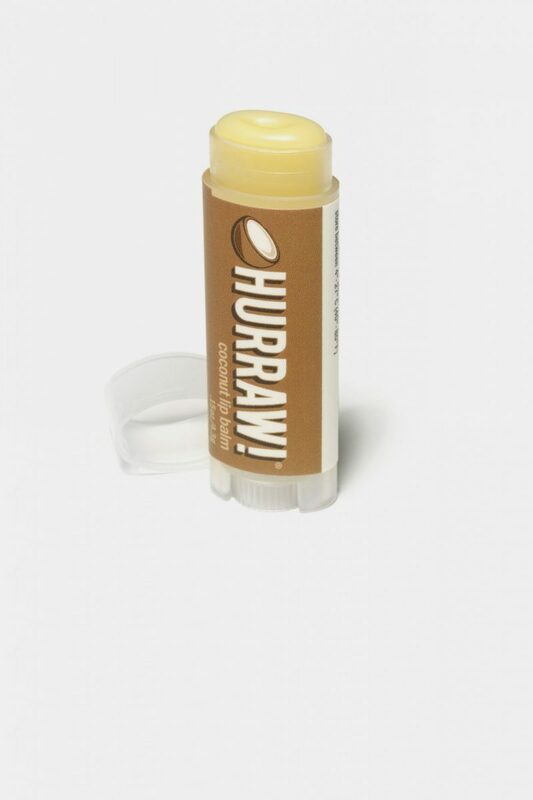 I bought one of these lip balms in an emergency when I was traveling and now I’m totally hooked. The formula works really well to soften and prevent any dryness or flaking. I wear it often during the day and apply it before bed to wake up with a smooth, plump pout every time! There you have my current skin care routine! I’d love to know if you have any magic potions you’d care to share too! 3D illustrations (pool scenes) by Alexis Christodoulou from Issue 87 of AESTHETICA The Art & Culture Magazine. Do you have a go-to natural sunscreen for your face? I haven’t had good luck with natural ones that aren’t super greasy! 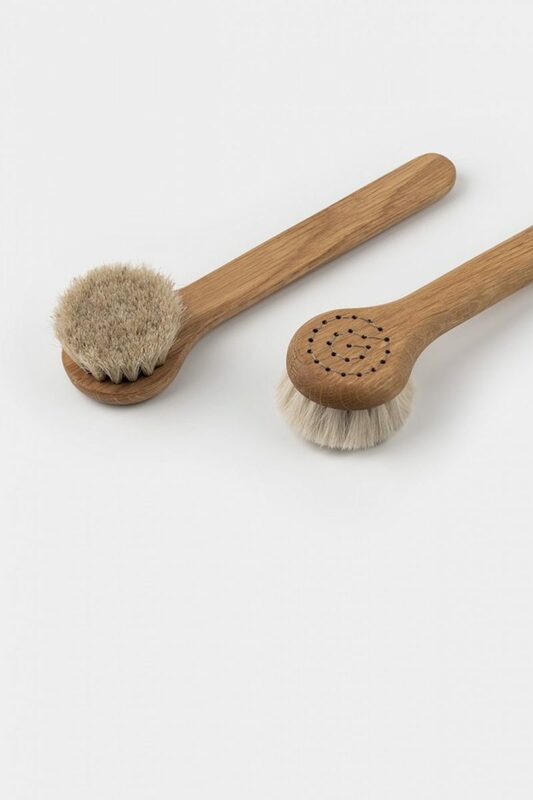 The face brush is actually Swedish, made by visually impaired craftspeople at Iris Hantvetk, a wonderful brand making all sorts of brushes and homeware items. I have the same one (purchased here in Europe) — this post has inspired me to start using it daily. Thanks for that additional info Anna! Love that the face brush has a story behind it too. Great post (naturally)! 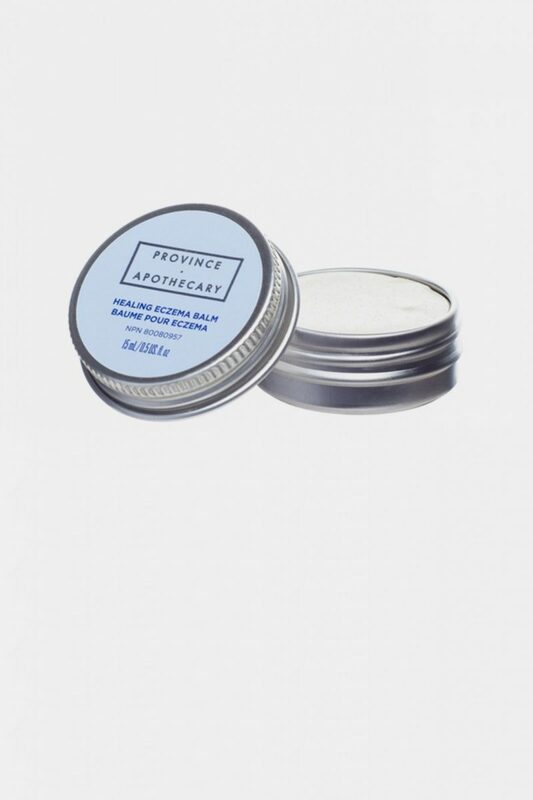 I, too love Province Apothecary and YTTP – question, which sunscreen do you use? Thanks Jennifer! Glad to hear you’re a fan of those two brands as well. I currently use BareMinerals Complexion Rescue with SPF 30 and really like it. It’s not marketed as a ‘clean’ product but it is made without parabens, sulphates and phthalates and it works really well for my skin. I wear Vanilla 02. I’ve also used Cocoon Reflector and Suntegrity 5 in 1 Face Sunscreen. If you’re in the market for more sunscreen options you can check out this post for lots of options. Hope that helps! I’ve been a Tata Harper fan for a long time. 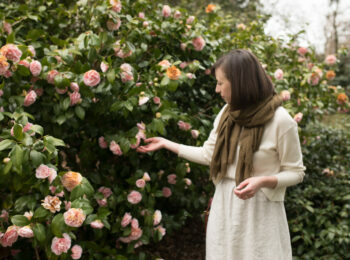 I also love MV Organics rose line because I have rosacea and that really works when I have a flare up. I tried Honest Beauty cleansing gel recently and I am nicely surprised by how much I like it as a morning or second cleanse. It hasn’t irritated my skin at all (and I have hyper sensitive skin). I also like that I can buy it at Target. I ordered the Rose Moisturizer and the two products from the Province Apothecary. They had a serum that sounded interesting, and I’ve been trying to find something for awhile (I didn’t get on with Drunk Elephant serums). The price point for the Apothecary isn’t too crazy either. I’ve wanted to try the Vitner’s Daughter but haven’t justified the cost yet. A good less expensive option is Votary SuperSeed Face Oil. And anything by May Lindstrom. I have also struggled with adult cystic acne and it can be so discouraging! One dermatologist told me to try drinking 16 oz. of spearmint tea every day because it helps regulate the hormones that contribute to cystic acne. I’ve been doing that for almost three years and it has definitely helped a ton! However, I’ve still been stuck on prescription meds since high school and look forward to trying some of these natural products, instead! Thank you for sharing! Your routine is so minimal but well thought out. 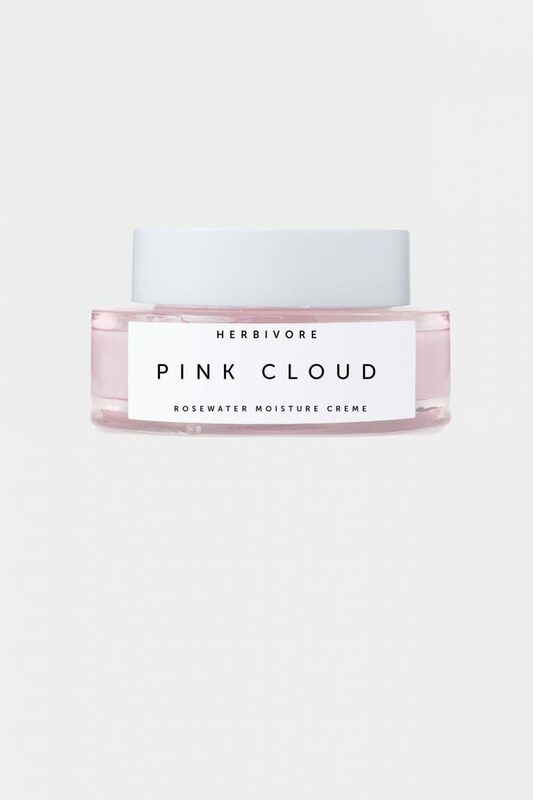 Herbivore is a magical brand and I love everything that I’ve tried so far. Thank you for sharing your skin care routine, Lee. I used to have cystic acne as well and I did have to resort to prescription drugs to cure it. Thank goodness those days are over. I’ve been using a very simple Paula’s Choice routine for years. In the morning it’s the Hydralight cleanser, 2% BHA gel and Skin Balancing sunscreen. At night, it’s the same cleanser and BHA gel with the 2.5% benzoyl peroxide treatment on my t-zone and the Skin Balancing Antioxidant Serum with retinol on my cheeks and around my eyes. In the winter, I layer the Hydralight moisturizer over the serum. And that’s it! I find just having a routine in and of itself is such a life changing thing, to take that time to care for yourself and be consistent to see results! I’m curious about the face brushing – how do you clean the brush itself in between uses? And how often? My first thought is, doesn’t it just grow a bunch of bacteria? ha! Thank you for sharing! Hey Hannah, you’re so right! I think I sleep better too now that I have a nightly ritual. I always love these posts, Lee! 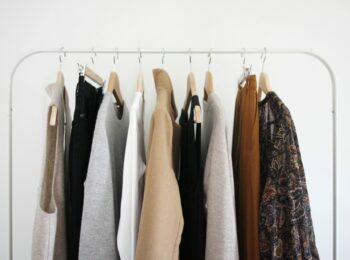 So many great brands to check out, thanks so much for sharing. 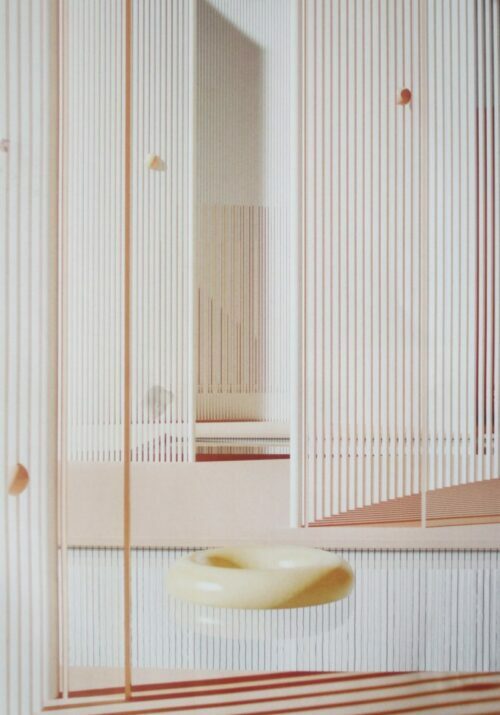 Can I ask where that beautiful stone brush holder is from? Or did I miss that somewhere? Thanks for reading Sally! It’s from Areaware as part of a little concrete desk set that I got Dave a few years back but slowly snuck into my own office haha. It’s sold out right now but here is a link: https://www.areaware.com/products/concrete-desk-set-gray?variant=248908850. 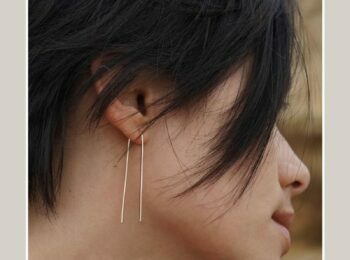 They design some really cool pieces!